We charge for the table by the hour. If you have a reservation, your ticket is valid for one hour only. Even when you are late for the reservation time, please leave us on schedule. In case of your visit without the reservation, you can stay for one hour starting the time on your receipt. Drinks are available at self-service vending machine. Please sterilize your hands each time before you have drinks after having touched the hedgehogs. Hedgehogs may bite your fingers, etc. in a bad mood. The tip to keep the hedgehogs in a good mood is to pet them gently. Hedgehogs hate the strong lights. Please refrain from the flash photography toward the hedgehogs. Hedgehogs may bristle their spines when they hear the sounds or the voices above them or when they are in the shade of your hands or face. Please do not look into the hedgehogs suddenly and pet them gently. Hedgehogs have a great attachment to their house. 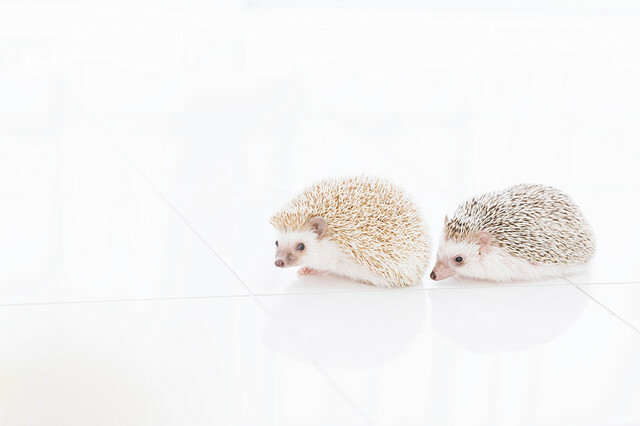 We recommend that you pet the hedgehogs in their house without lifting or carrying them. Hedgehogs may get surprised at the sounds or the lights and get upset by the unfamiliar smells. Hedgehogs may get injured severely when they fall from the high places. Here are our strict rules at ChikuChiku CAFE. Please follow the instructions given by the staffs when you pet the hedgehogs. We will ask you to cover the treatment costs when the hedgehogs have fractures or get injured. Children six years or younger can use our service at the half price. They can see or take pictures of the hedgehogs but they are not allowed to touch them since they are likely to get injured with the spines or to drop them in surprise. From Thursday, March 1, 2018 children under 6 years old can enter the regular price and can interact with Hedgehog. Please be careful as you may get hurt with hedgehog’s thorns or you may be surprised and dropped. Children 12 years or younger should be accompanied by the adult(s) to use our service. We are not responsible for any injuries, infections, allergies, the dirt or the damages of clothes due to the hedgehogs. We will not refund or compensate any of above. We recommend that the first time customers use the glove and the paper napkin on your lap so that your clothes do not get dirty. We suggest that customers having an allergy to the animals consult with the doctor before using our service.